In early 2005, Michael and Judy Walker opened the Primrose School in Afton Village after a two year process of planning and construction. Having quickly developed an excellent reputation, the Primrose School in Afton Village grew to capacity and has maintained full enrollment for the last several years. The following information has been provided by Primrose School about their program. 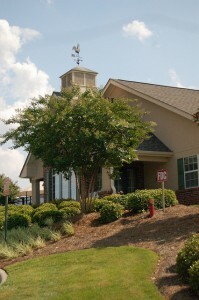 The balance you have been seeking between family and career is here in your Afton Village community. With our Balanced Learning curriculum, children flourish and parents have peace of mind. We place as much emphasis on character development as on literacy, so your child will grow in every way: academically, socially and emotionally. We blend child-initiated and teacher-directed approaches to early childhood education, so children aren’t simply taught — they learn to love learning. “There are clear and important differences between the Primrose Balanced Learning program and what is offered by other child care organizations and pre-schools,” noted Jo Kirchner, President and CEO of Primrose School Franchising Company. “Balanced Learning carefully blends child-initiated and teacher-directed activities, combining the two leading philosophies in early childhood education, while adding the very special Primrose focus on character and values.” The Balanced Learning curriculum is developed and taught exclusively at Primrose. The child-initiated approach inspires children to think for themselves and explore their own abilities, while teachers guide them to a love of learning and prepare them for lifelong success. The emphasis on character and values is woven throughout the curriculum via such programs as Adopt a Grandparent. In 1998, Primrose continued to lead the industry when they became the first private preschool to achieve accreditation status from the two most prominent and respected education associations in the country: CITA (The Commission on International Trans-Regional Accreditations) and SACS (The Southern Association of Colleges and Schools). For more than 100 years, these prestigious associations have been recognized as the gold standard in evaluating schools and colleges. So does all of that balance really benefit the child? According to a recent study, for Primrose Schools students the answer is a resounding YES. Results showed that 90% of former Primrose preschool students achieved Kindergarten through 5th grade test scores well above the national average. In addition, parents strongly credited Primrose for their children’s school readiness and social maturity. The study and its findings are especially significant in connection with the national No Child Left Behind Act, passed in January 2002, which requires preschools to establish assessment criteria. Primrose has not only established those criteria but, over the past three years, evaluated, and proved, its schools’ success in reaching them. Based in Atlanta, with more than 100 schools in 10 states, Primrose is the leading educational child care company in the U.S.